This is something I waited for very long: The Winter Wonders Collection from Dazzle & Jolt. Their last collection Geometric Jungle caused a crush on animal prints, now the exciting British label comes back with new amazing prints and goes one step further on their mission to colour the world. The Winter Wonders Collection takes us to a mystical forest and its residents, such as cunning foxes, wise owls and divine unicorns. The prints look like from a very colourful, comic version of a Tolkien book. 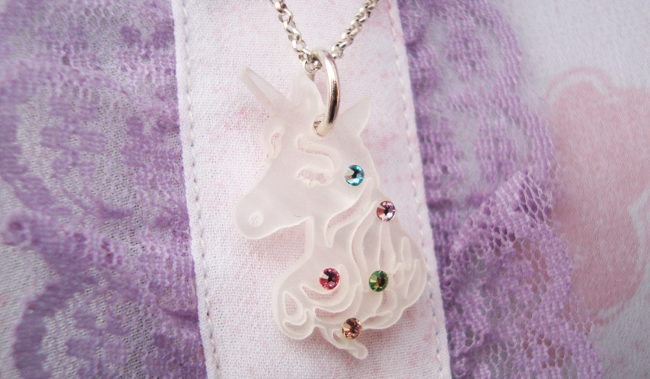 Especially the unicorn seems to run right through the forest of Lothlorien. The illustrations have a nearly kaleidoscopic effect, as a consumption of the geometric prints they designed before. For the first time their work displays all-over prints, which makes the pieces even more exciting. 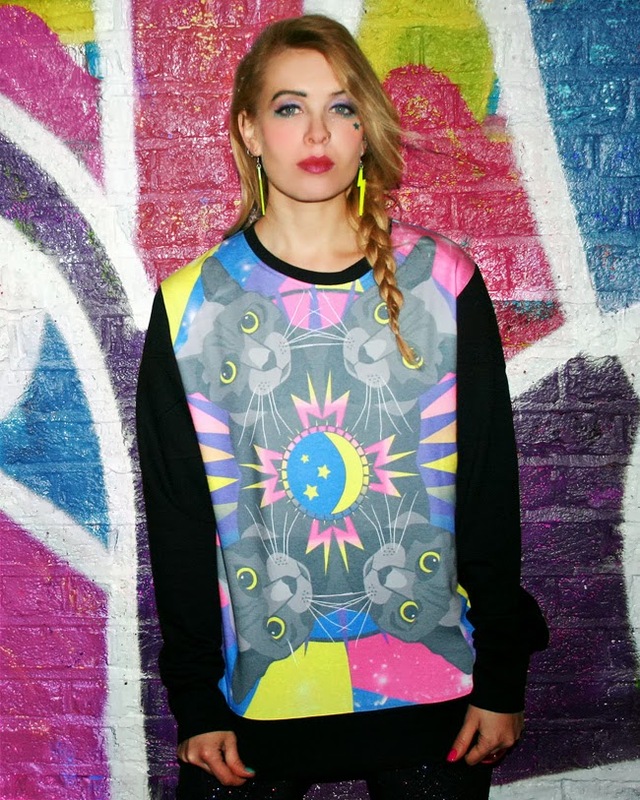 The whole collection is designed and printed in the UK. 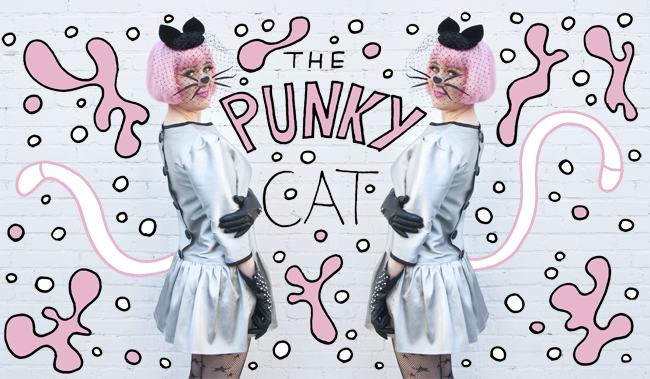 The label Dazzle & Jolt was founded by the two friends Zara Saleem and Jessica Holt in a North London flat with a fat cat named Jarvis. It seems just right that finally the feline co-founder becomes the star of its very own iconic jumper. Definitely a must have! 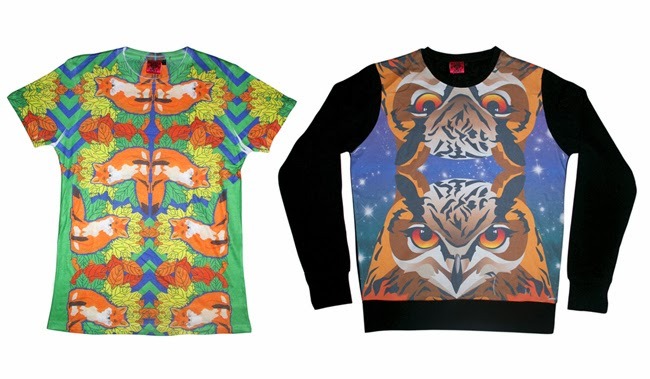 Which one is your favourite design? Visit Dazzle & Jolt here and join their Facebook page. Lovely moon, I am in a dreamy mood. That's why I'm dressed in pastels from head to toe. 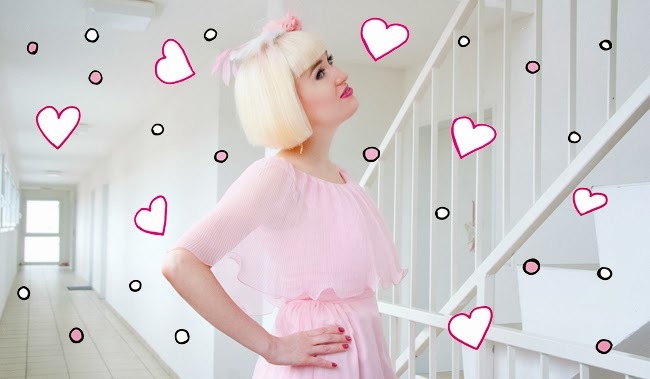 Check: Frills, glitter, cuteness, fluffiness. Yes, we have it all. An opalescent moon looking at an iridescent star on my ears. Doesn't my glitter clutch look like a galaxy painted in white? Feeling comfortably wrapped in a purple world. Lilac lips again: Still my favourite lipstick. A girl's dream came true: I finally have my own unicorn. Are you moonstruck? Since I was a little girl I was fascinated by the moon. As a child I used to sit outside in the night, staring at the sky and asking myself if there really is a man living on the moon. The moon's craters still seem to look like a smiling face looking down to earth to me from time to time. 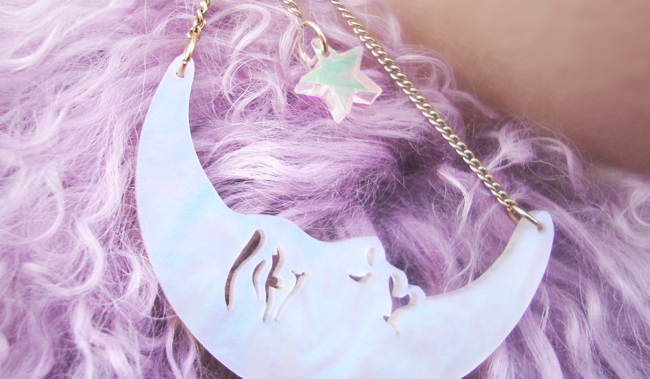 Today, I am wearing the moon on my ears and a unicorn around my neck. What else can a girl ask for? 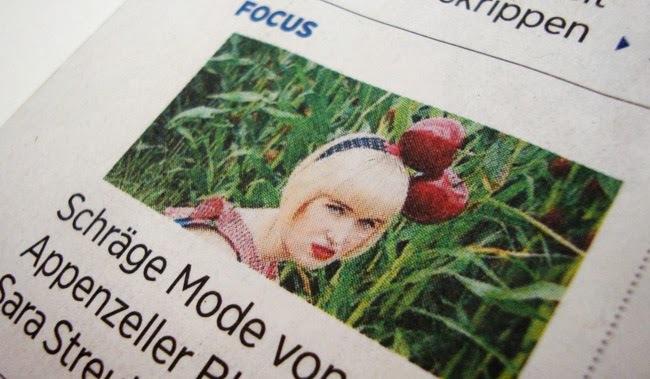 Yes one more thing: A piece of Meadham Kirchhoff. The blouse I'm wearing is my loot from their Topshop collection and it's already among my wardrobe highlights. I'm a big fan of Meadham Kirchhoff . Their uncompromising world full of pastels, colourful fur and cute girlishness, looks just like the happiest thing on earth to me. Fashion from somewhere over the rainbow to please all Dorothies close and far from Emerald City. What do you think about this look my lovelies, a little bit enchanted? Valentine's Day, the day of the lovers. Every year a sweet and romantic occasion and certainly a day to make little surprises and dress up. To make this already special day even more unique, it has a second meaning to me as well: Valentine's Day was the beginning of an eternal love story of my life. My love for hats and fascinators started on a 14th of February. 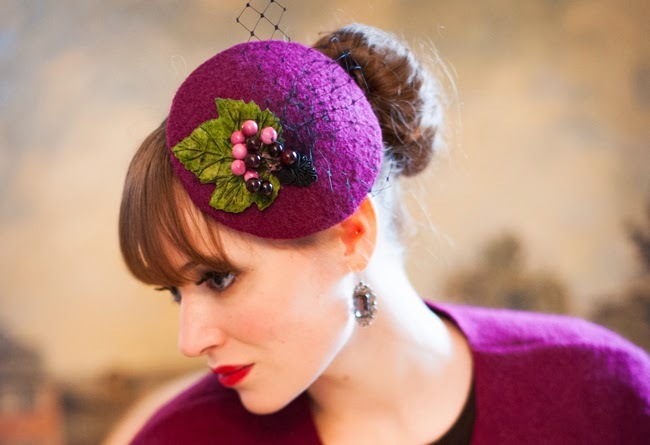 Already quite a while ago, I discovered a giant cherry fascinator from Pearls & Swine. 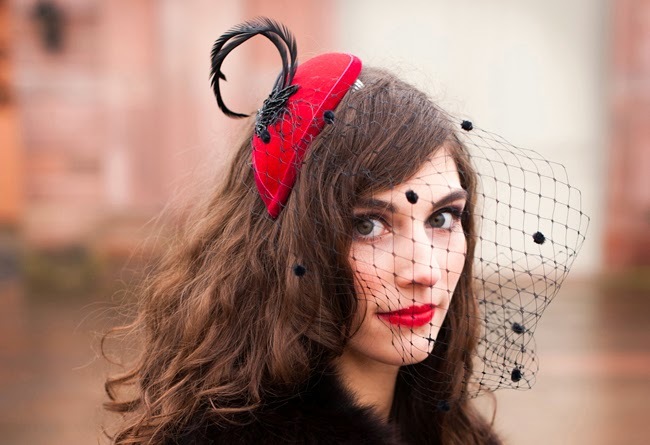 It was love at first sight and I told my darling, that I wish to have this fascinator for Valentine's Day. I never expected it to come true, but it did. With this piece of headwear I lost my hearts not just to the man again, but as well to headwear. 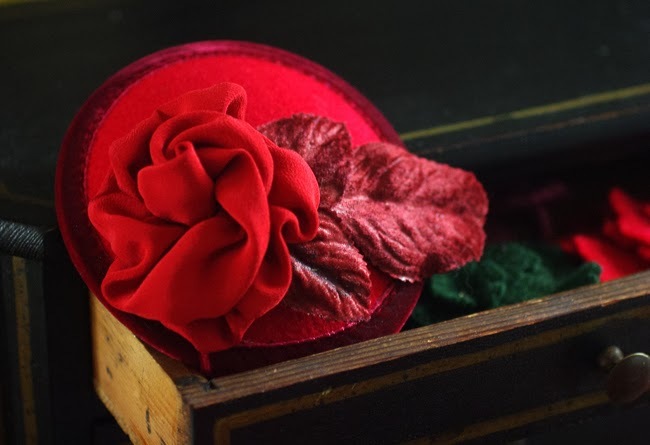 Because of this romantic story, making a post about headwear for Valentine's Day is one of the occasions I anticipate very much. 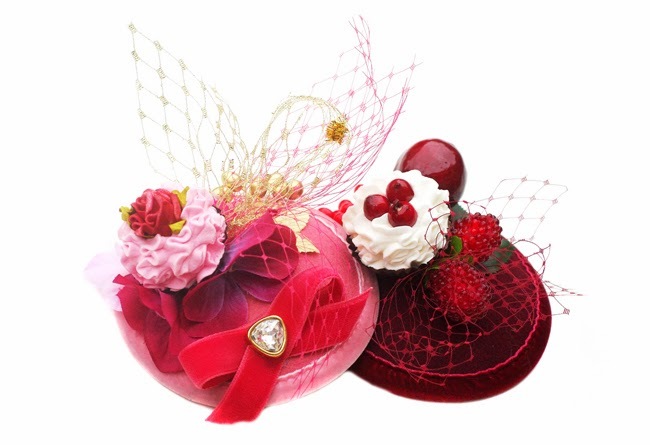 This year it's my pleasure to introduce you to the Valentine's Day collection of Jazzafine: Fascinators as sweet as candy, all in the colour of love or sweet shades of pink and purple. They are ready to bedazzle your beloved one. 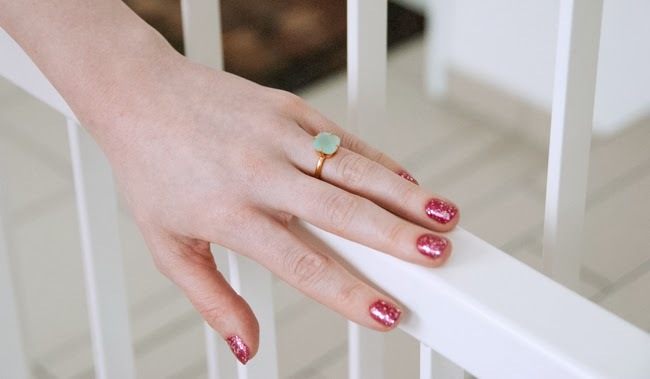 Wear cupcakes, go for berries or grace your head with roses, Jazzafine is the perfect choice for all of them. And I am pretty sure your prince charming will love the look so much, you will wear it not just for Valentine's Day. 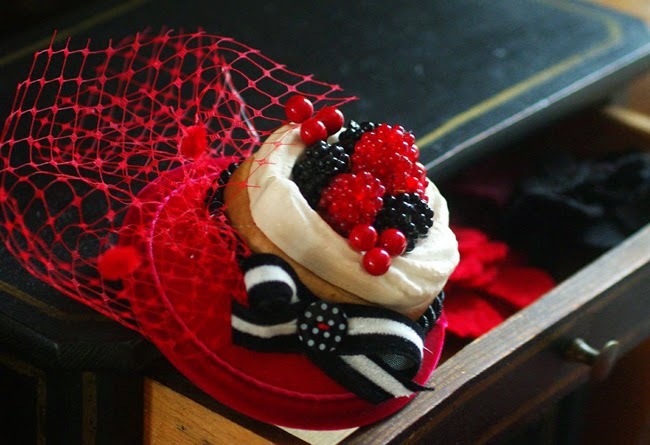 What are you gonna wear on Valentine's Day and which one of those adorable fascinators wins your heart? I can't believe: "Sara is in Love with…" gets two years old today. 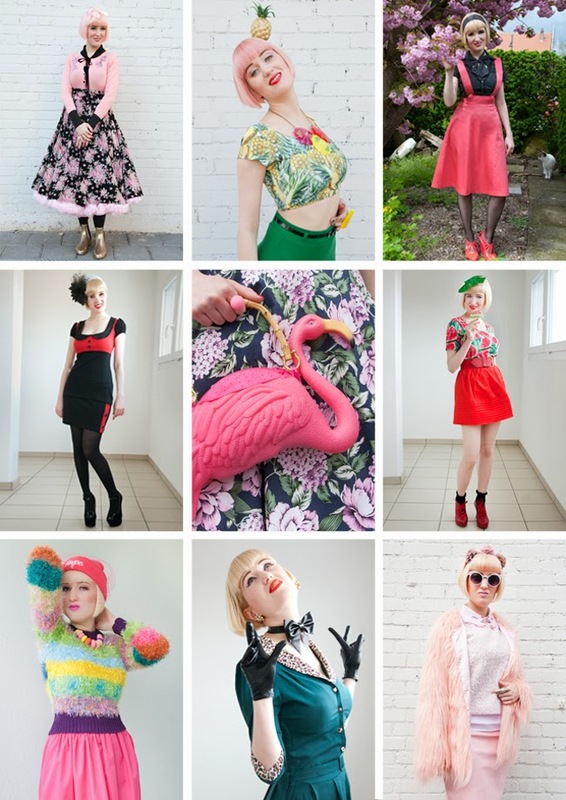 Two years of fashion adventures, colourful looks and quirky headwear. Two years with many twists and turns I wouldn't have dreamed of before. During the second year of blogging, my blog was slowly but steadily growing the whole time. Numbers of followers and readers are twice as much as a year ago. A special honor was a portrait about me and my blog in the biggest newspaper of the city I am from in December. For a little moment I felt almost like a star, having my pictures occupying almost a page. I want to say thank you to all my lovely readers for your visits, comments, mails and spreading word about my whimsical page. 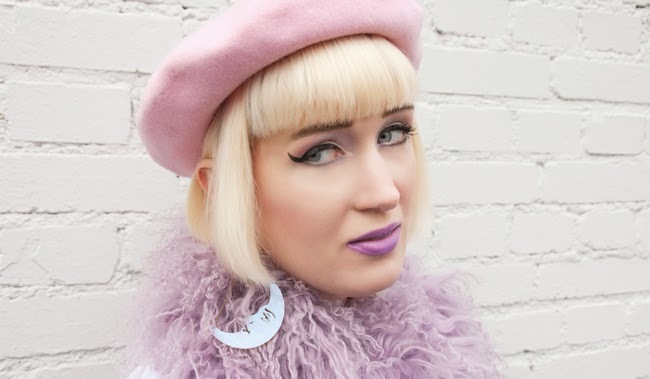 When I started blogging, I didn't know if anybody at all would be interested in my looks. All the excitement you express makes me unutterably happy. Sometimes I literally jump from my chair with joy because of a lovely mail I got from a cute reader or an exciting future collaboration. As well I want to thank all my collaboration partners for believing in my project. It makes me dizzy to think about the outstanding creative people I am in touch with because of my blog. I don't take exciting things happening for granted and I hope while reading you can feel a little bit of the love and passion I put into my blog. I am nearly bursting of ideas for future posts. During the next year I want to get more experimental, surprise you, shoot better pictures, organize lovely give aways and do more designer interviews. My a little bit less modest dreams are a feature in an international fashion magazine, catching the attention of a few very particular designers and brands I am in love with (Hello Melissa Shoes ;-) ) and I would be the happiest candy floss ever, if I would receive my first fan art picture (please include a flamingo if I may have another wish…). Indeed very big dreams for a little blogger, but I believe just people with a vision get far and recommend all of you to follow your dreams. Maybe one day we can catch the stars, even if they seem so, so far away. Millions of thanks to all of you for being part of my fashion world. There wouldn't be a blog without you. I am happy to finish this post with the same sentence as last year: Sara is in Love with all of you! Pictures: Overview of all the outfits during the second year of "Sara is in Love with…". You can see the overview of year one here. I even made it to the front page, how exciting! Sweet colours for a sweet occasion. Today I am celebrating anniversary day with my love. 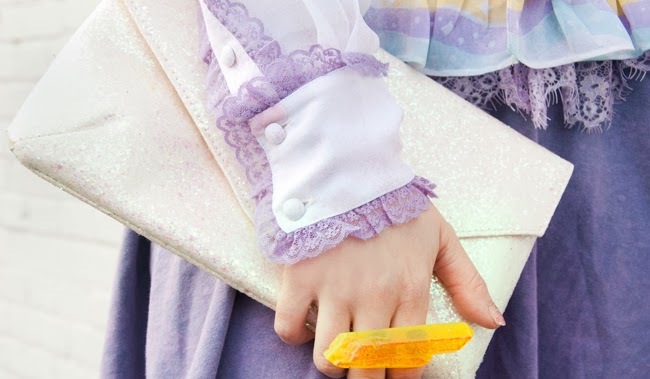 For this event I wanted to look like a story book princess. This ring was his lovely gift to me today. It's the first ring he gave me. 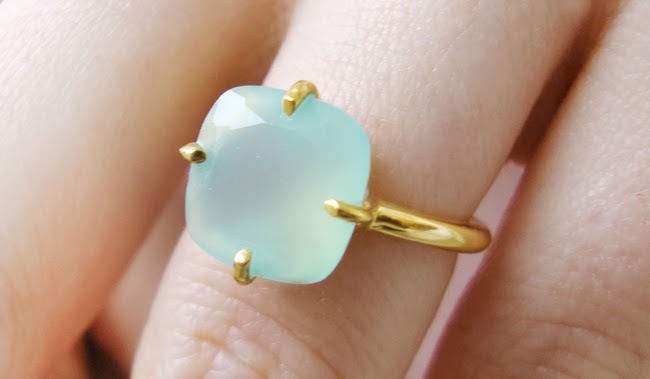 I love the colour of the aqua chalcedony stone. This stone is said to banish fear and stimulate creativity. The fascinator was made especially to fit my dress. I am even more pleased with it than I expected to be. Tender flowers, feathers and just a little bit of netting. The anniversary day with my darling. We spent the eve at a beautiful place with a view over the whole city and a delicious five course dinner. It was already our forth anniversary day and I am still so very happy. Three and a half years ago I left London – the city of my heart – for my love. It was a very hard decision back then and I still miss London. But I don't regret it at all and can't imagine living without my darling anymore. 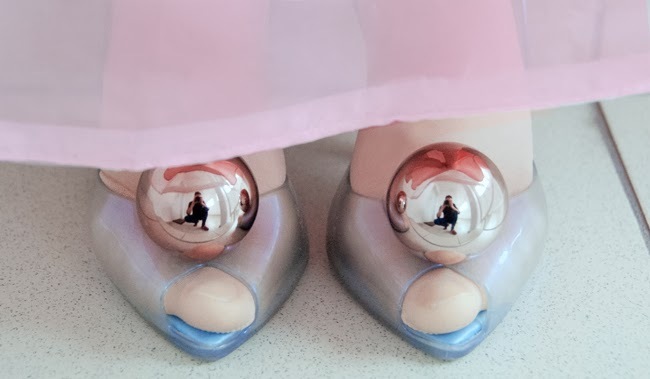 For our anniversary day I wanted to look especially lovely and chose a pastel pink princess look. During our last holidays in Barcelona I found this dress in a vintage store. Since then it waited in my wardrobe for a special occasion. 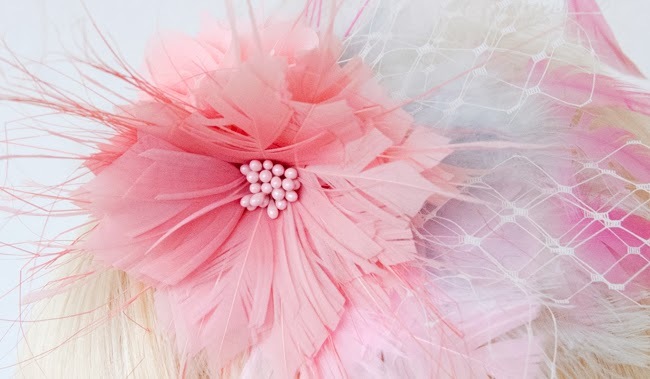 Ingenious milliner Carolina from Jazzafine made the fascinator to fit my pastel pink dream dress. 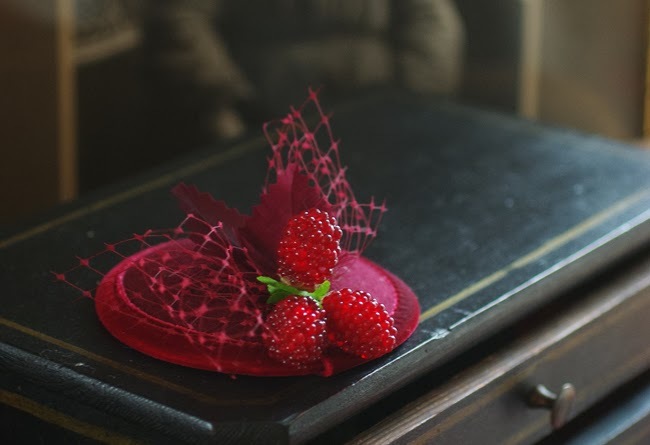 It was the first time I had a fascinator custom-made to fit a dress, I am sure you can imagine the tension when I opened the parcel. I think it looks better than I could have imagined and just fit for a perfect day. 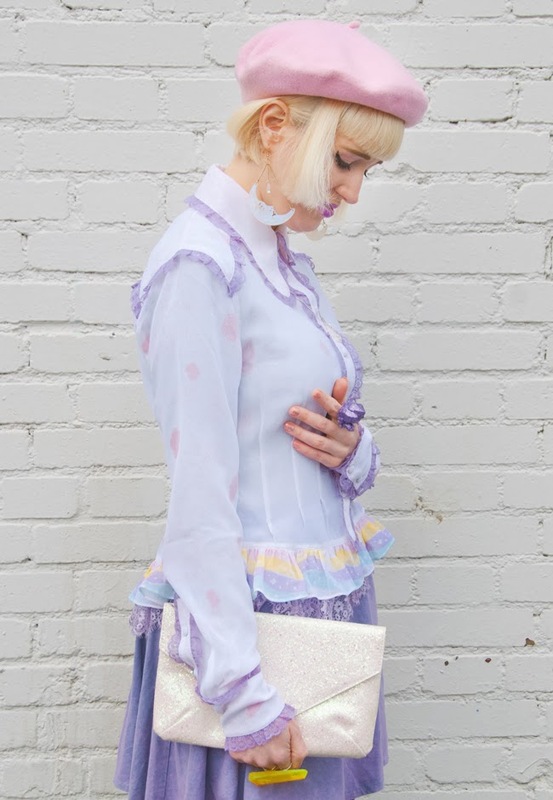 How do you like this dreamy outfit and have you ever had something custom-made? Thanks to Jazzafine for the lovely fascinator. I am suffering from a very severe shopping fever at the moment. Whenever I think I have the perfect outfit ready, despite my full wardrobe there is something like the icing on the cake. This makes me browse for particular ties of bags, shoes and dresses all the time. Here I show you ten random things I fell in love with on my endless journey through the online shops. I want to try more unusual materials, shapes and colour combinations. Time for more experiments! I don't want to stay the same, it's always time for reinvention and change. Especially when I work a lot for my daytime job, I don't care as much as I wish about my outfit. On this days I don't feel like myself and I want to have as less of these days as possible. The prettiest things I have I don't wear very often or not at all, because I couldn't stand them getting damaged. But seriously: Is there really a point in having an exhibition just for myself on my shoe shelf? From now on, I want to show off my beauties! I believe there is nothing more difficult to buy, than a proper everyday handbag. At the moment I have to be ashamed of mine and this has to change! Help welcome. Not Rock N' Roll, but Punk N' Pink! Leather, studs, fishnet tights and metallic: What a bad girl look! 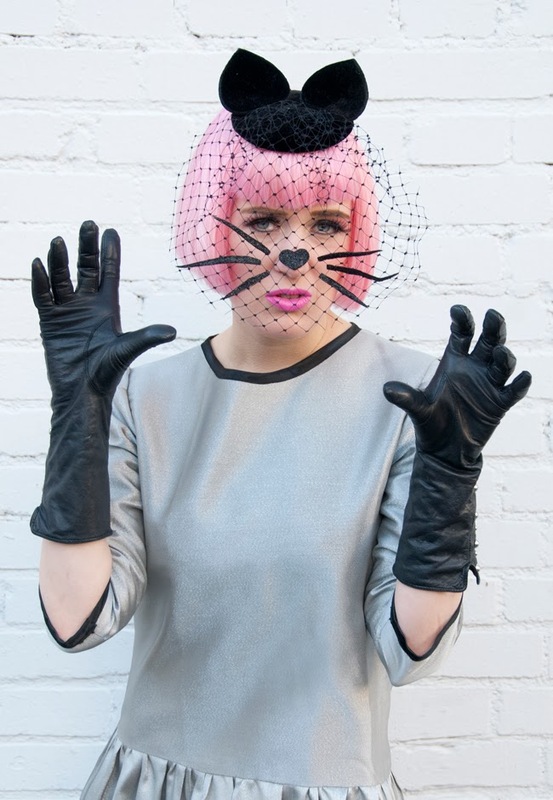 Like a futuristic and rebellious cat woman, do you agree? Cat Woman wears gloves, a heroine can't leave fingerprints for sure. You don't wanna see my claws, I assure you. Fishnet tights with stars to enhance the futuristic look. What a funny feeling to have whiskers suddenly! 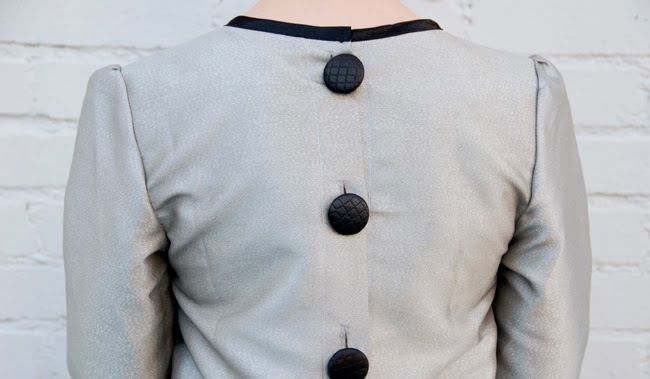 Beautiful detail at my back: Round black buttons. 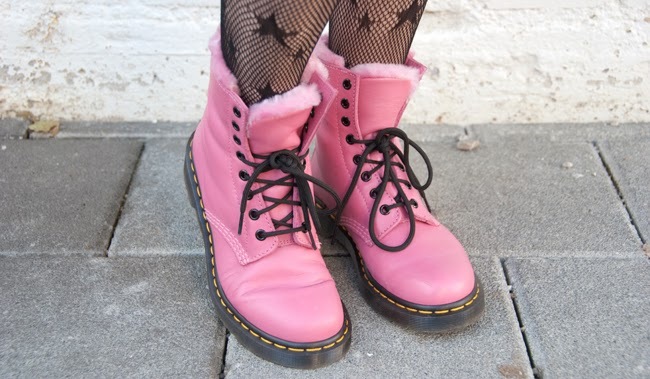 The probably most comfy and warm boots I'll ever have: My pink Dr. Martens. Yes, I love everything cute, but today cuteness includes a hint of punk. 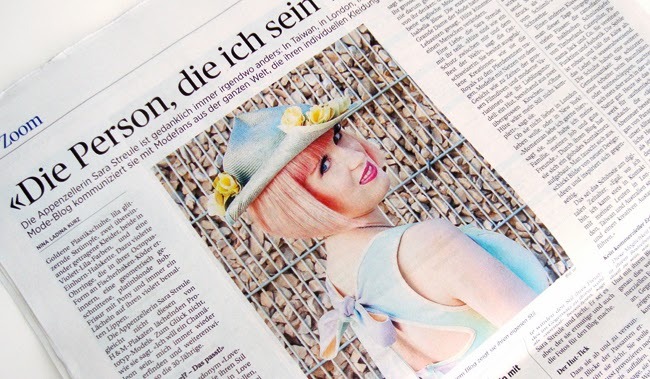 The dress I am wearing is from my favourite Spanish label Yiddish Chutzpah. Their latest collection (which I introduced here) is inspired by punk and designer Gema Alonso influenced me too in how I styled my dress. Of course there are no other shoes than Doc Martens to be considered. Because I am no true punk but rather a candy girl, I choose pink ones with a cosy pink fur on the inside. I must say, they are probably the best fitted shoes for winter I ever had. It's no coincidence, they are popular among postmen and police officers (of course not in my pink version). A punk inspired look is never complete without fishnet tights and a few studs. 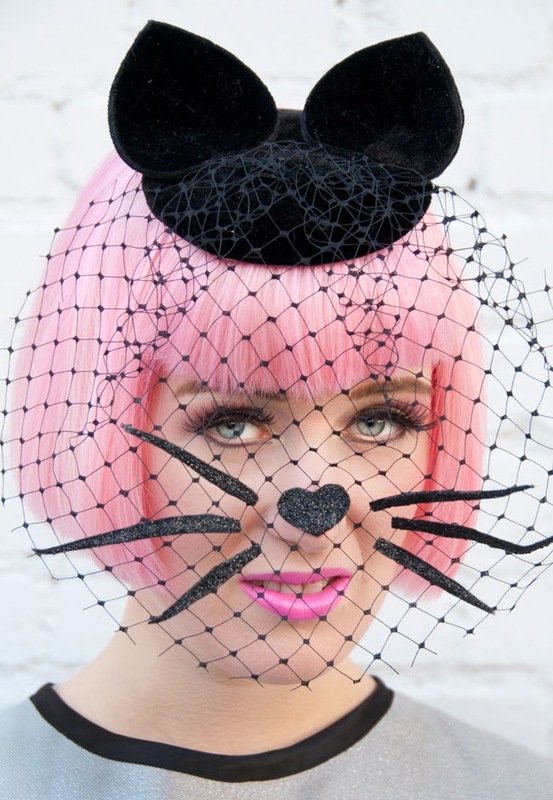 As a contrast I wear my new cat fascinator from my hat genie Pearls & Swine. The silver dress reminds me a little bit of a garment for a female super heroine. A futuristic cat-woman, why not? When it's cold outside, I am a huge fan of staying home and watching science fiction movies, maybe it reflects already in what I wear. At the moment I am very much into Star Trek again, just like in my teenage years. Even I agree, that it takes a little bit of courage, to walk through the city like this, but I think "Let them stare, at least I can make sure they see something extraordinary today." How do you like this punky look lovelies? Thanks to Yiddish Chutzpah for the dress. Finally, it started to snow over here and the temptation to buy a new warm coat is big. It's definitely the season of the pink bubblegum coat. Pink is the new black when it comes to coats. It seems that not just constant pink lovers like me, but everyone wants to dress up in candy floss coloured garments. 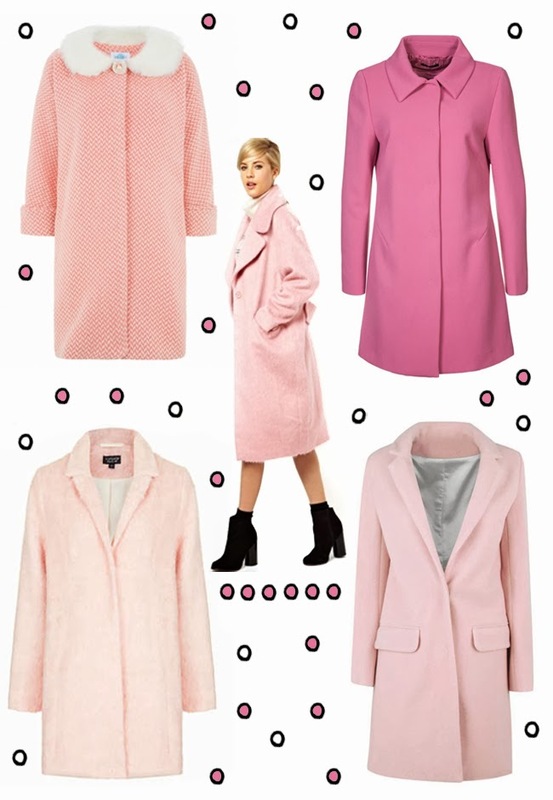 There have been already a lot of posts and articles about pink coats on blogs and magazines at the beginning of winter season, but I think the coats appearing recently in the shops are even better and deserve your attention for the perfect marshmallow look. 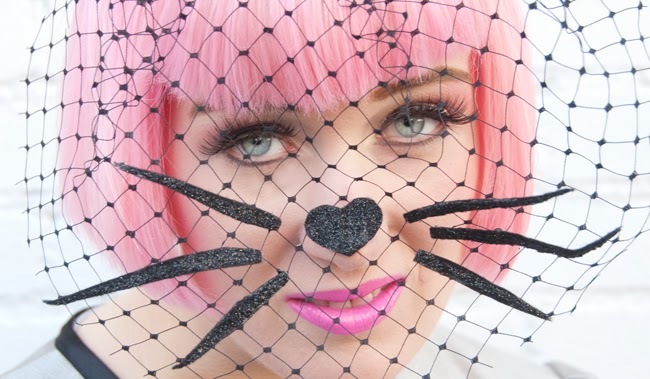 My advice for you: Don't' be part of the gray masses, live the "La vie on rose" and get pink! 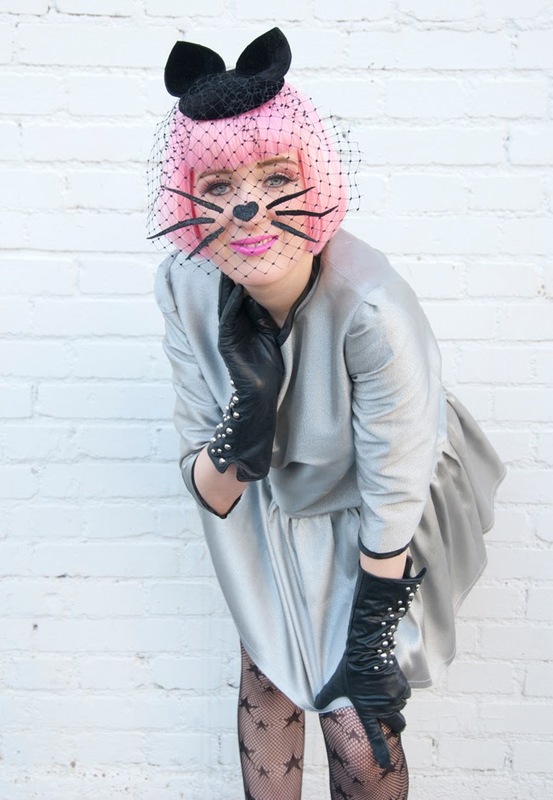 Wear a bright lipstick with your pink coat, so you will not look pale, but just super candy cool. Do you already have a pink coat or do you have plans of keeping yourself pink and fluffy this winter? Which one wins your heart?